Pre-series-A investors committed Rs 297 crore in the 10 months up to October 18, a 26 per cent drop on a pro-rata basis from 2017, the Early Stage Investment Insights Report 2018 found. While 2018 has been a landmark year for the Indian start-up industry in terms of exits with Flipkart's $16 billion acquisition by Walmart, it is a much more subdued story when it comes to investments, especially at the early stage. A new report by InnoVen Capital, a venture debt firm, has an interesting tale to tell. Pre-series-A investors committed Rs 297 crore in the 10 months up to October 18, a 26 per cent drop on a pro-rata basis from 2017, the Early Stage Investment Insights Report 2018 found. In full year 2017, early stage funding totalled Rs 482 crore. In fact, the 2018 number is lower even when compared to 2016 when pre-series A investments totalled Rs 410 crore. In the last five years to 2018, the best year was 2015 when Rs 616 crore was invested. The number of deals appears to have declined in 2018 as well - the report shows 67 deals have been cracked till October this year versus 82 in 2017 and 109 in 2016. The average deal size shrunk 25 per cent. What has caused this slump in funding? The report said that investors are more cautious now than in previous years. They are more apprehensive of funding start-ups in pre-revenue concept stage, which is reflected in the share of pre-revenue funded start-ups declining to 12 per cent this year from 27 per cent in 2016. "Investors also showed preference for backing more experienced founders, with proportion of founders in funded start-ups with at least five years of experience going up from 55 per cent in 2017 to 78 per cent this year. Investors also mentioned that they look for companies with a clearly identified large addressable market, some product-market fit and scalability. About 70 per cent of the companies that failed to obtain funding from institutional investors either had no product-market fit or were addressing a niche market opportunity," the report stated. Consumer, enterprise technology and artificial intelligence, healthcare and content were the sectors early investors were keen on. 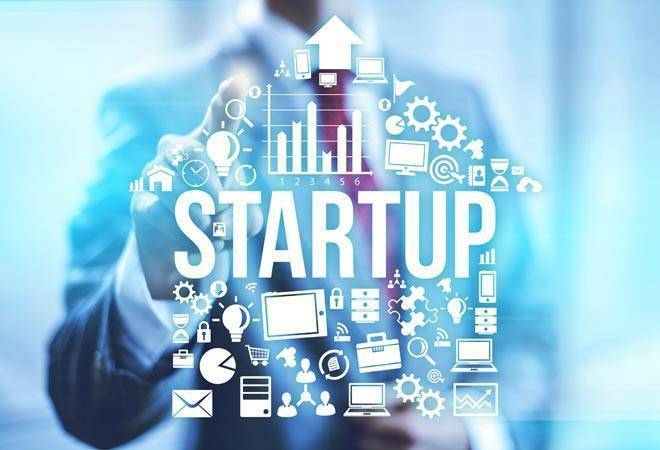 The report hinted that Mumbai is emerging as the third start-up city in India, after Bangalore and the National Capital Region (NCR). While Bangalore and NCR continue to be prominent, accounting for 28 per cent and 25 per cent of the investments respectively, Mumbai made up 23 per cent. Mumbai's share rocketed from 6 per cent last year. Bangalore's share, meanwhile, dropped from 46 per cent in 2017. The report has a few pieces of advice for entrepreneurs. Here are two: "While raising a pre-series A round, start-ups should budget for 15-18 months of runway before they need to raise a new funding round". Second, credible referral is the best way to draw investor attention. "Events seem to be the least unlikely place to engage with investors."